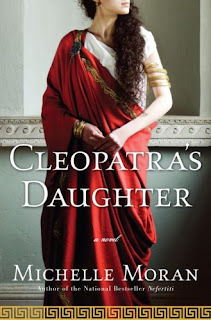 Thanks to author Michelle Moran, I am able to give away 1 Autographed copy of the wonderful novel, Cleopatra's Daughter! Thank you Michelle! The marriage of Marc Antony and Cleopatra is one of the greatest love stories of all time, a tale of unbridled passion with earth-shaking political consequences. Feared and hunted by the powers in Rome, the lovers choose to die by their own hands as the triumphant armies of Antony’s vengeful rival, Octavian, sweep into Egypt. Their three orphaned children are taken in chains to Rome, but only two—the ten-year-old twins Selene and Alexander—survive the journey. Delivered to the household of Octavian’s sister, the siblings cling to each other and to the hope that they will return one day to their rightful place on the throne of Egypt. 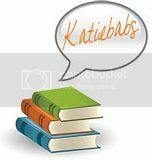 As they come of age, they are buffeted by the personal ambitions of Octavian’s family and court, by the ever-present threat of slave rebellion, and by the longings and desires deep within their own hearts. You must also answer the following question! Deadline September 28th, 2009 @ 11:59 PM Est. US & Canada Only. No PO Boxes. Princess Cleopatra Selene's twin brother's full name is Prince Alexander Helios. OK, I was not going to enter this until I saw the birthday entry. TODAY IS MY BIRTHDAY! No, I am not kidding. I've been reading such great things about this book and I'd love a chance to win it. My birthday isn't for awhile, but I feel like I need to tell you it's May 8 so that next spring I can have an extra entry for another fabulous book. His first name is Prince Alexander Helios. Her twin brother's name is Prince Alexander Helios. I think I told you my birthday before and it falls in the timeframe. It is Prince Alexander Helios. Thanks for the chance. His name is: Prince Alexander Helios. Cleopatra's brother's name is Prince Alexander Helios. Please enter me! Email's in my profile. The twin brother's name is Prince Alexander Helios. I've posted this in my sidebar and I'm mentioning it in my Sunday Contest Slurry tonight. Her brother's name is Prince Alexander Helios. I'm a follower. His name is:Prince Alexander Helios. I follow on twitter now too. Prince Alexander Helios was her brothers name. Her twin brother's full name is Prince Alexander Helios. Would love a chance to win! I just keep reading great reviews of it! Thanks. Great contest. Her brother's name was Prince Alexander Helios. Her brother is Prince Alexander Helios. His name is Prince Alexander Helios.